DUBAI (May 3): Top property developer S P Setia Bhd won three gold awards at the FIABCI World Prix d’Excellence Awards 2018 held here on Tuesday. The awards are for the Affordable Housing Category for its Seri Kasturi Apartment project in Setia Alam; Master Plan Category for its Setia Eco Glades project in Cyberjaya; and Sustainable Development Category for its Eco Sanctuary project in Singapore. This triple award win is not only the first for S P Setia, but is said to be a record for any developer to win three gold awards within the same year for the FIABCI awards. President and chief executive officer Datuk Khor Chap Jen, who received the award on behalf of S P Setia, described it as another milestone for the developer. “We have successfully recorded a hat-trick win of three world gold awards in the same year. We are extremely proud to showcase the Setia brand to the world, and we dedicate this win to our 2,300-strong Team Setia who is our biggest asset,” he said. 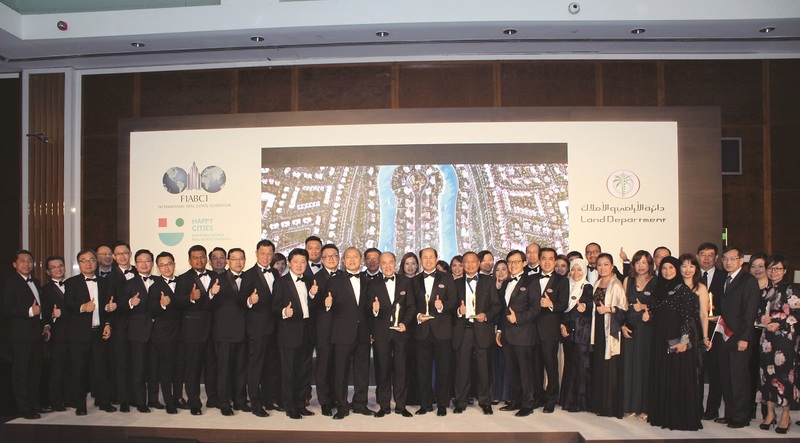 According to a statement released by the developer, the three awards adds to a total of 10 FIABCI World Prix d’Excellence awards for the group, in addition to being a 10-time winner of the FIABCI Malaysia Property Awards. “S P Setia has always been a trailblazer in the property industry in Malaysia. We are the country’s leading listed real estate player with a portfolio that encompasses townships, eco-sanctuaries, luxury enclaves, high-rise residences, commercial and retail, as well as integrated-mixed and transit-oriented developments. This historic win is testament to our impeccable reputation and will further cement our stronghold in the property industry in Malaysia, and also leading to more recognition in the international market,” Khor said. S P Setia’s previous international FIABCI Prix d’Excellence awards include best master plan developments for Setia Eco Park, Setia Eco Gardens and Setia Alam, best retail development for Setia City Mall, best residential (low-rise) development for Setia Eco Park and the unique park complex, with Eco Greens at Setia Eco Gardens taking home the award for the best purpose-built/specialised project category. The group’s corporate headquarters in Setia Alam was also awarded the gold award in the Sustainable Development Category in 2016. In 2017, the developer was ranked No 1 in The Edge Malaysia Top Property Developers Awards for a record-breaking 10th time. This article first appeared in The Edge Financial Daily, on May 3, 2018.